The Best Parenting blogs from thousands of top Parenting blogs in our index using search and social metrics. Data will be refreshed once a week. Also check out Parenting Podcasts and Top Parenting Youtube Channels list for Top videos on Parenting. Parenting newsletter is a comprehensive summary of the day's most important blog posts and news articles from the best Parenting websites on the web, and delivered to your email inbox each morning. To subscribe, simply provide us with your email address. New York, NY About Blog Singletons and the singular issues that affect family life and parenting no matter how many children you have or may have in the future. In this blog, you will find parenting tips and advice. Facebook fans 7,602,082. Twitter followers 602,170. Iowa About Blog Extension & Outreach provides ideas, resources and strategies for effective parenting. Facebook fans 10,569. Twitter followers 7,593. Los Angeles, CA About Blog Janet is the author of two bestselling parenting books: No Bad Kids and Elevating Child Care and host of the popular podcast Unruffled. In this blog, she will share her experience as a parent and how we should give some freedom to our children. Facebook fans 329,085. Twitter followers 9,061. New York About Blog Gabriel Roth, Rebecca Lavoie, and Carvell Wallace share triumphs and fails and offer advice on parenting kids from toddler to teens. Facebook fans 1,534,633. Twitter followers 1,779,857. New York, NY About Blog ADDitude Magazine is the nation's leading destination for families and adults living with attention deficit disorder (ADHD) and learning disorders. Facebook fans 313,144. Twitter followers 32,056. Palo Alto, CA About Blog Their mission is to provide parents with insights, skills, and support they need to listen to and connect with their children in a way that allows each child to thrive. Facebook fans 162,181. Twitter followers 16,642. New York City About Blog Parents Magazine helps parents understand the issues and challenges that are important to them. We make it a priority to answer your questions, address your concerns, advocate your causes, and celebrate the joys of parenthood. Expert advice about pregnancy, your life, and family time from the editors of Parents magazine. Facebook fans 2,148,678. Twitter followers 4,763,534. Australia/UK About Blog Parenting Ideas was founded by Australia's leading parenting educator, Michael Grose. Parenting Ideas offer positive parenting tips on child development for raising children and teenagers to be happy & resilient and building strong families. Facebook fans 42,253. Twitter followers 3,103. New York About Blog Aha Parenting.com is a parenting blog that helps you understand your child a little better. Dr. Laura Markham shares actionable advice for parents of newborns and teenagers. Facebook fans 169,308. Twitter followers 15,311. Canada About Blog Today's Parent, Canada's national parenting magazine, is committed to helping parents build happy, healthy families. This blog contains articles that tackle the complete range of parenting issues, including health, education and behaviour. Facebook fans 252,506. Twitter followers 2,565,188. Derby, England About Blog Multilingual Parenting gives tips, advice and stories for parents raising bilingual children in multilingual families. It also explains how bilingual children have more tendency to succeed in life. Facebook fans 6,306. Twitter followers 2,881. Toronto About Blog covers top-of-mind issues for parents of kids with disabilities by combining firsthand family insights and expert advice from Holland Bloorview Kids Rehabilitation Hospital and around the world. Their vision is to create a world of possibility for kids with disability. Facebook fans 1,449. Twitter followers 1,862. About Blog BEBEZCLUB is a daily assistant for parents and educators in their child’s development and education from birth. It provides effective and positive parenting tips to make your life and the process of upbringing your child from birth to ages 10 easier. Facebook fans 1,595. Twitter followers 760.
boston, MA About Blog Joani's parenting tip of the day is a parenting teen blog where she gives all the tricks on how to handle teens and their budding questions in an appropriate manner. Facebook fans n/a. Twitter followers 297. Brooklyn About Blog A parenting blog for parents who love their kids but hate parenting. This blog will feature links, photos, memes, vemes, and status updates designed to make you laugh and helps you to cope up with parenting pressures. Facebook fans 63,214. Twitter followers 38,205. Richmond Hill, ON About Blog Child psychologist Dr. Tali Shenfield and other experts offer advice on child development, child mental health, and intelligent parenting topics. Their mission is to deliver psychological and psycho-educational services to children, adults, and families. Facebook fans 868. Twitter followers 2,592. New York City About Blog This section of the New York Times features articles on healthy and gentle parenting advice. Facebook fans 16,271,518. Twitter followers 41,766,193. Newburyport, MA About Blog Psych Central is the Internet's leading independent mental health publisher. Mindful Parenting is a blog focused on helping parents learn better parenting skills to help raise happy, healthy children. Facebook fans 235,944. Twitter followers 151,412. San Francisco, CA About Blog Common Sense Media improves the lives of kids and families by providing independent reviews, age ratings, & other information about all types of media. Facebook fans 162,432. Twitter followers 101,213. USA About Blog Working Mother is a national magazine committed to helping moms balance their personal and professional lives. Working Mother is the largest multimedia company in the country focused on diversity and the advancement of women. Facebook fans 266,393. Twitter followers 147,415. Canada About Blog This magazine provides information on pregnancy, newborn baby care, toddler advice for parents. Facebook fans 256,718. Twitter followers 2,599,850. Baltimore, MD Headquarters About Blog The Sylvan Source is the official blog of Sylvan Learning. They offer timely and practical education advice for parents from tutoring programs, to STEM education and college prep, Sylvan is right there with you. Learn how Sylvan can inspire your child to succeed. Facebook fans 133,210. Twitter followers 7,117. Facebook fans 297,050. Twitter followers 12,493. India About Blog My Little Moppet is a parenting page designed to help new parents cope with parenthood and provide information on health, nutrition, social development of children. You can also find baby, toddler food recipes for your fussy children. Facebook fans 101,106. Twitter followers 4,194. About Blog The science of parenting and child development. Fully-referenced evidence-based articles about the anthropology, psychology, biology, and neuroscience of raising kids. Facebook fans 11,028. Twitter followers 208. About Blog Positive Parenting Solutions is an online training site for parents of toddlers to teens where they teach a healthier, happier means of raising great kids without losing control. Facebook fans 1,281,421. Twitter followers 11,975. Hamilton, ON Canada About Blog The Mabelhood is your one-stop shop for parenting tips, tricks and hot newswhich is brought to you by Mabel's Labels. Join our parenting community for tips, storytelling, organization and so much more. Facebook fans 190,411. Twitter followers 36,412. Italy About Blog A site dedicated to all mothers, with advice during pregnancy, childbirth, growth and education of children, and many DIY games. Facebook fans 171,424. Twitter followers 1,956. About Blog Released every month, the magazine features the latest news, tips and advice for parents of children with Asperger’s Syndrome, Kanner’s Autism and PDD-NOS. It is full of helpful advice that covers subjects like: behavioral tips, sensory processing issues, mitigating meltdowns, special education needs and getting access to services, we are confident that the magazine will become a must read for parents of autistic children. Facebook fans 170,496. Twitter followers 33,244. New Delhi, India About Blog Mommy in me is all about parenting, kids, womanhood and lifestyle which answers all queries related to parenting and more. Facebook fans 1,498. Twitter followers 1,752. Singapore About Blog A Singapore Parenting & Lifestyle Blog dedicated to sharing inspirations and contents related to positive parenting, work-life balance, travel tips and reviews. Facebook fans 6,733. Twitter followers 50. Australia About Blog At Beanstalk it's all about being a single mother. Join the light-hearted conversation which includes advice, experiences and single mums assistance. Facebook fans 14,522. Twitter followers n/a. Brisbane, Australia About Blog Family Matters is for parents all around the world, with the aim of making the world a better place, one family at a time. The blog now contains 1,357 posts on family matters, practical parenting, relationships and marriage, personal development, children, education and learning, happiness and self esteem. Facebook fans 493. Twitter followers 615. Newton, MA About Blog InterfaithFamily is the premier resource supporting interfaith couples exploring Jewish life and inclusive Jewish communities. Facebook fans 24,580. Twitter followers 4,788. Montreal, Quebec, Canada About Blog One of the best parenting blogs by The Suburban. This section covers all the tips and advices for parents of toddlers to teens. Facebook fans 3,190. Twitter followers 1,953. New York About Blog Adoptive Families, the award-winning national adoption magazine, is the leading adoption information source for families before, during and after adoption. Facebook fans 50,722. Twitter followers 14,040. Singapore About Blog Kelvin Ang is a top Daddy Blogger, author of 'Got Kids, Go Where?' & speaker, and one of Singapore's 10 Most Popular Lifestyle Blogs. This blog features new, fun and kid-friendly places to visit or dine in, the occasional overseas trips when the travel bugs bite as well as reviews of kids and lifestyle products and gadgets that the family will enjoy. Facebook fans 26,748. Twitter followers 649. Lewes, Sussex, UK About Blog Natural parenting magazine published every two months packed with great ideas and inspiration for every step of the parenting journey. Facebook fans 19,769. Twitter followers 8,402. PennilessParenting.com About Blog Penniless Parenting is a website geared towards people who want to live a lavish life with minimum expenses. In this blog, Penny teaches you her frugal lifestyle and parenting tips. Facebook fans 6,571. Twitter followers 1,120. Singapore About Blog Milton Goh is a Christian Blogger and one of Influence Asia 2017's Top 14 Parenting Bloggers in Singapore! Most notably on his blog, he independently compiles New Creation Church and Pastor Joseph Prince Sermon Notes Online. Facebook fans 29,375. Twitter followers 996. About Blog NatkhatZ is all about the little one's. Their day to day activities, milestones, fears and achievements. MomZ can share their inputs through blogs. Facebook fans 258. Twitter followers 21. Houston, Texas About Blog The Simple Parent follows the life of a busy family with multiple generations living together and making life work. It’s all easy ideas for simple parenting and includes personal stories, ideas for easy family fun, recipes, and crafts! Facebook fans 17,494. Twitter followers 164,112. Ann Arbor, MI About Blog Ruth Schwenk is the founder of The Better Mom. Their mission is to build God-honoring homes by inspiring moms to be better moms through sharing life and learning together. Ruth and her husband, Patrick, have been in full-time church ministry for over fifteen years. Facebook fans 815,656. Twitter followers 9,150. Facebook fans 3,812. Twitter followers 301. Columbus, Ohio About Blog Nature Moms is a resource site for natural family living, natural and green parenting, a natural home, organic gardening, and so much more. We also have a natural products directory to help you find the natural products you love! Facebook fans 11,542. Twitter followers 7,674. California, USA About Blog Snug Baby is a blog by a dad who shares his experience on parenthood. In this blog, you can find information on parenting, gear guides, strollers and much more. Facebook fans 431. Twitter followers 1. Southern California About Blog Christian Mom Thoughts is a blog for parents striving to raise their children as Christ-followers in a home where faith means more than going to church on Sundays. Facebook fans 11,945. Twitter followers 3,536. Bangalore-India About Blog Kidskintha is dedicated to jump starting conversations around millennial parenting - thoughts, tools, actions and words that can influence the coming up of the brave new generation. Facebook fans 1,301. Twitter followers 1,121. Seattle, WA About Blog Priceless Parenting is dedicated to teaching skills for positively responding to children’s behavior in ways that build warm, loving relationships while also guiding children to make good decisions. Facebook fans 1,481. Twitter followers 560. Northern Ireland, UK About Blog Castle View Academy is a blog by Crystal McClean who is mother to two wonderful children. In this blog, she gives tips on homeschooling, health, creative learning and more. Facebook fans 4,814. Twitter followers 19,931. About Blog Elisavet Arkolaki 's expat blog. Thoughts on parenting, writing, travelling, books and raising citizens of the world. Facebook fans 4,508. Twitter followers 128. Chelsea, London About Blog My Baba is a parenting blog with expert tips and advice on parenting and pregnancy including guides and reviews of the latest baby kit and style for mums. Facebook fans 33,289. Twitter followers 12,927. Gurgaon, Haryana, IN About Blog The Champa Tree is a blog on motherhood, parenting tips, baby & child care, quick healthy recipes, activities for kids, art and craft ideas, baby products review, makeup & beauty tips. Facebook fans 10,568. Twitter followers 1,292. About Blog This blog is entitled "The Parenting Passageway" as it is intended to help support and encourage parents in peaceful parenting in this hectic world. Facebook fans n/a. Twitter followers 58. NC About Blog Crazy Adventures in Parenting is a fun-filled, crazy journey into the life of Lisa Douglas, an Army wife raising eleventy-billion kids. She shares humorous parental war-stories, yummy homemade family-friendly recipes, craft tutorials, hilarious family videos, and so much more. Facebook fans 4,767. Twitter followers 42,501. BC, Canada About Blog Atheist parenting blog by Courtney blogging from a Godless parent's perspective. Courtney write about atheism, religion, secular values, humanism and skepticism as well as parenting. Facebook fans 14,867. Twitter followers 37,146. Singapore About Blog Life's Tiny Miracles is a collection of experiences and reflections in parenthood. In this blog, you will find motivation and solution to difficult situations that arise during parenting. Facebook fans 5,422. Twitter followers 855. Tampa & Orlando, FL About Blog Modernmami is a blog by Melanie Edwards who provides an honest depiction of modern life for today’s wife, mother, and woman from a Latina working mom’s perspective. This blog contains family fun, easy recipes & parenting stories from latina working mom. Facebook fans 3,236. Twitter followers 13,591. Noida, India About Blog Mommys Timeline covers everything from mom and kids fashion goals, beauty tips, health and fitness, style to parenting tips. Facebook fans 5,447. Twitter followers 2,484. United Kingdom About Blog Mother Distracted is a UK parenting & lifestyle blog. Here, you will get all the tips and tricks for mindful and holistic parenting. Facebook fans 3,333. Twitter followers 12,934. Gold Coast, Australia About Blog Katesurfs.com blog is mostly about my journey through motherhood and life and is full of tips and advice on Aware Parenting and more. Facebook fans 2,535. Twitter followers 215. Hilton Head Island, SC About Blog A parenting website helping parents explore their worlds. Mindful living, parenting techniques explained, books, learning, travel with kids, and more. Facebook fans 1,066. Twitter followers 545. Austin, TX About Blog The Educational Tourist explores the world through family adventures and making memories with children and their mission is to educate and enlighten children to new places and cultures, exposing young minds to the world's history. Facebook fans 17,572. Twitter followers 8,441. Singapore About Blog A Happy Mum is a blog about motherhood, kids, crafts, travelling and all the happy moments, and sometimes hard truths, of being a stay-at-home mum. Facebook fans 8,824. Twitter followers 584. About Blog Healthiz is a healthy-living blog for health, lifestyle, fitness, fashion, beauty and parenting articles for families, individuals and working women. Facebook fans 173. Twitter followers 37. New York About Blog Motherhood Later is a website whose mission is to support, empower, inform and connect midlife mothers or later mothers through their website. Follow us to keep up with articles on parenting. Facebook fans 2,213. Twitter followers 758. Michigan About Blog Kidlutions help kids (and the big people who care about them) deal with behavioral and emotional issues before they get larger than life. Facebook fans 5,014. Twitter followers 27,451. Facebook fans 3,000. Twitter followers 6,534. Cwmbran, Wales, UK About Blog Babi a Fi is a blog about life, love, motherhood, doll house miniatures, her day job as a county councillor, and more. Here you'll find her blogging about life, miniatures, love and motherhood. Facebook fans 1,385. Twitter followers 9,465. Singapore About Blog Mother Inc is a parenting blog based in Singapore where Daphne shares her sweet motherhood experiences and gives you parenting tips. Facebook fans 6,216. Twitter followers 693. Brooklyn, NY About Blog A Child Grows in Brooklyn is considered the virtual "home" for Brooklyn parents and the first stop for expectant, new and seasoned parents. Learn about parenting resources, schools, camps, classes, neighborhood news, family friendly events, gear, trends and everything in between. Facebook fans 9,084. Twitter followers 14,460. Dublin About Blog I’m Andrea Mara, a freelance writer, blogger. Office Mum is about being a parent, being a working mother, and trying to find a balance with a good helping of honesty. Facebook fans 5,107. Twitter followers 3,326. About Blog Parenting website with great tips, tricks and ideas about kids behaviour and activities. Facebook fans 970. Twitter followers 1,720. United States About Blog Welcome to GayParentsToBe's Gay Parenting Blog. Read on about LGBT trending news, family building stories, legal advice and more from our LGBT voices team! Facebook fans 25,703. Twitter followers 1,080. Lytham St. Annes, England About Blog This blog is packed with travel tips, activity ideas, parenting hacks and ideas for parents of tweens and teens. Facebook fans 2,778. Twitter followers 24,560. About Blog Flyparents offers fresh ideas and tips on raising a modern family. The website provides informative data that will help you keep your relationship with your partner, kids and friends strong throughout the circus of parenting. About Blog Full Time Baby is a practical parenting blog from digital nomad parents and provides 24/7 parent's round the clock parenting resource. Well researched, evidence based Tips, Hacks, and Gear Guides to get you through the greatest journey. Facebook fans 72. Twitter followers 2,934. Boston, MA About Blog Mombian is a lifestyle site for lesbian moms and other LGBT parents, offering a mix of parenting, politics, diversions, and resources for all our varied roles. Facebook fans 2,087. Twitter followers 6,367. Maryland/Washington DC About Blog Questionable Choices in Parenting is a blog by Amanda Mushro, a mom of two and a Lifestyle/Mom/Family writer and personality. This blog is about life hacks and simply clever parenting tips and tricks. Facebook fans 8,833. Twitter followers 10,630. Sydney, Australia About Blog Nurture Parenting provides free tips to help calm your baby to sleep perfectly. Our exclusive parenting support methods have brought peace to many families. Facebook fans 10,040. Twitter followers 989. Forest Hills, PA About Blog TEIS provides early intervention services to children 0-3 in Allegheny & Westmoreland counties and evaluations in Beaver County in Western, PA.
Facebook fans 597. Twitter followers 161. Edison, NJ About Blog This is a parenting blog provides parenting tips for babies and toddlers.I intent to start this blog to share my experience and beautiful memories of my motherhood. I also love to share parenting tips on baby care and toddlers in this blog. Facebook fans 114. Twitter followers 45. Lawrenceville, NJ About Blog National Center for Biblical Parenting is committed to helping parents develop biblical, practical strategies for touching the hearts of their kids. Facebook fans n/a. Twitter followers 3,869. About Blog Nonviolent Communication Parenting will free you from the fear, the guilt, and the shame, empower you, and give you the tools to raise epowered children. Facebook fans 133. Twitter followers n/a. About Blog Punk mom website for alternative parents. Punky Moms is a forum and online magazine with advice about raising kids. Tattoos, piercings, attachment parenting. Facebook fans 5,890. Twitter followers 858. United Kingdom About Blog An expat Parenting and Lifestyle award winning blog, full of days out, travel, recipes, parenting, home interiors, expat life, giveaways, reviews and more. Facebook fans 3,453. Twitter followers 8,998. Washington, DC About Blog This blog aims to mentor you as you experience connected world challenges, helping you learn as much as possible about digital kids and how they can grow into thoughtful, collaborative, and savvy digital citizens. The blog’s mission is to provide context for adults: defining and clarifying digital world issues, examining 21st Century learning and parenting challenges, and sharing as much as possible about virtual environments and digital devices that children take for granted. Facebook fans n/a. Twitter followers 652. About Blog I am Stephanie Loomis Pappas, a professor turned write-from-home parent. At snackdinner, I offer research tips to help make you a better parent and person. Facebook fans n/a. Twitter followers 110. Fethiye, Turkey About Blog Growing Up Two is a travel and twin parenting blog written by an expat living in Turkey. In this blog, Samantha shares news, reviews, rants and magic moments of parenthood. Facebook fans 1,419. Twitter followers 2,225. East Sussex, UK About Blog Tom Briggs is a husband of one, dad of three and a multi-award-winning parent blogger and podcaster. The mission of this blog is to share his musings about parenthood. Facebook fans 2,008. Twitter followers 9,653. Sacramento, CA About Blog Chronicles of a Young Mother's mission is to ensure no young mom feels ostracised from the mom community because of her age. This blog empowers other young (millennial) moms, so that as a community they can redefine what it means to be a young mother. Facebook fans 1,622. Twitter followers n/a. About Blog Parenting Beyond Punishment is a neurodevelopmental approach to raising children and nurturing relationships. Facebook fans 134,498. Twitter followers 18. Atlanta, GA About Blog Black Moms Blog mission is to share the journey of holistic parenting through a Black mom's point of view. Facebook fans 12,571. Twitter followers 1,193. San Francisco Bay Area About Blog Annie Fox, M.Ed. is a respected educator, award-winning author and a trusted online adviser. Her life’s work is helping teens become more self-aware, self-confident and better able to make choices that reflect who they really are. See what is on Parenting Expert Annie Fox‘s mind, with her advice blog for parents, tweens, and teens. Facebook fans 2,026. Twitter followers 51,716. Doha, Qatar About Blog The Mommy Blog is a blog by Haajra Fareen who loves writing about things that make our lives easy. Here you will find some parenting tips, fun experiences, product reviews, DIY stuff and everything baby and mommy. Facebook fans 2,748. Twitter followers 495. About Blog The leading online source for stepfamily information and support. For any woman dating, living with or married to someone who has kids. This online home is the place to be for insightful articles, like the stepmom’s guide to Mother’s Day, how to help a grieving stepchild, and prettily-packaged tips. Facebook fans 34,884. Twitter followers 4,500. Northern Virginia About Blog A blog by Dr. Rene, a PhD developmental psych, MA school psych, parent educator, preschool director and mom who shares her experiences about motherhood. Facebook fans 10,189. Twitter followers 2,846. Metro DC About Blog A blog that shares news, tips, and reflections on topics related to mindful parenting, family wellness, holistic health, and natural, green living. Facebook fans 1,291. Twitter followers 967. Brisbane, Australia About Blog Australia's Natural Parenting Magazine is your destination for thought-provoking, evidence-based articles on the physical, emotional, intellectual and spiritual elements of child-rearing from a natural parenting perspective. Facebook fans 75,714. Twitter followers 209. About Blog Little Treasures is dedicated to providing our families with a safe, fun, year-round learning environment for children from infants through kindergarten. We offer a state of the art facility that has everything your child needs to aid in their learning. We maintain a comfortable environment that is as warm and inviting as your own home. Our teachers are committed to providing each child with the necessary experiences needed to open their minds and expand their abilities. Facebook fans 434. Twitter followers n/a. Minnesota About Blog Welcome! I’m Laura Kelly Fanucci. If you’re interested in connecting faith & parenting, Here i write about Spirituality, discovering surprising grace in daily life with kids, Spiritual Practices: Simple prayers & actions to deepen faith. Facebook fans 3,723. Twitter followers 1,095. Brisbane, Australia About Blog Dr Koa Whittingham is a clinical and developmental psychologist, a parenting researcher and a mum. She is the author of a new book Becoming Mum. Facebook fans 551. Twitter followers 947. Cleveland, OH About Blog The Green Eyed Lady is an Ohio Lifestyle and Parenting Blog By Carissa Godbott. In this blog, Carissa gives all the parenting tips and advice, tips on parenting kids having special needs and tells us how she inculcates spiritual thoughts in her children. Facebook fans 1,296. Twitter followers 1,869.
http://mytwicebakedpotato.com About Blog My Twice Baked Potato is a parenting blog by kelly who emphasizes on positive parenting and shares her personal struggles and triumphs in parenthood. Facebook fans 174. Twitter followers 1,090. Eugene, Oregon USA About Blog Parenting Now provides support and education so that all children are raised by nurturing and skilled parents and is committed towards strengthening families and building communities. Facebook fans 1,674. Twitter followers 157. About Blog The Parenting Asperger's Blog is a resource for families, teachers, and medical professionals who deal with the challenges of Aspergers. Facebook fans 9,406. Twitter followers n/a. Florida About Blog Susan M. Heim, parenting author and Chicken Soup for the Soul editor, shares her personal and professional thoughts and experiences on raising children in today's world. Facebook fans 20,255. Twitter followers 33,589. About Blog Heather is a wife, mom, and writer. She enjoys the outdoors with her family, exercise, traveling and seeing what adventure God will bring them through next. After surviving domestic violence trauma in her early twenties, she realized her true calling was to help other women overcome domestic violence and life hardships. Her ministry is to encourage women and help them to embrace freedom and abundant life in Christ. Facebook fans n/a. Twitter followers 232. Chicago, IL About Blog Mihaela Bernard is a child, adolescent and family therapist in Chicago and Elmhurst, IL whose mission is to empower, support and guide children, adolescents and their parents, facing emotional and behavioral difficulties. They specialize in working with children, adolescents and adults, who struggle with a wide range of behavioral and emotional issues. Facebook fans 119. Twitter followers 105. Los Angeles, Ca About Blog This blog, Organic Parenthood, is like an instructional book for the kind of life everyone likes to enjoy living. This blog covers a wide enough variety of topics that will be helpful for people going through parenthood. Facebook fans 156. Twitter followers 874. Johannesburg, South Africa About Blog Rupert Approves is a candid and humorous lifestyle and parenting blog. She regales you with stories of pregnancy, parenting and life in-between the madness.May offend sensitive-to-sarcasm viewers. Facebook fans 920. Twitter followers 2,290. Shanghai, China About Blog Can Cubs is a blog structured for play and learning activities for young children. this blog contains informative articles relating to children and articles related to childhood development. About Blog Not Alone offers ideas, support, encouragement, and inspiration for handling the demands, challenges and opportunities that come with a child with special needs. Facebook fans 17,075. Twitter followers 1,170. Fairfax, California About Blog Parenting and attachment is dedicated to the understanding of attachment disorders and other issues afflicting children exposed to abandonment, institutionalization, neglect and abuse. Facebook fans 188. Twitter followers 134. About Blog This blog shares the beautifully imperfect realities of motherhood and advocates for attachment and breastfeeding. This space is for empowerment, solidarity and celebration. Facebook fans 20,131. Twitter followers 1,245. Royal Wootton Bassett, England About Blog Simply Stacey is a Lifestyle and Parenting Blogger and Vlogger from Wiltshire who shares her secret to parenthood and how to tackle difficult situations. Facebook fans 109. Twitter followers 5,207. New Zealand About Blog For You Son is a blog that leaves life lesson for their sons and for the world about parenthood, the pleasures that comes with it and how to tackle difficult situations. Facebook fans 1,150. Twitter followers 522. Farmington Hills, MI About Blog A blog on everything parenting from family fun and educational activities to child health and safety and the difficult issue parents must contend with. Kansas City, MO About Blog Exercising Values is a company devoted to helping families enjoy quality time together and help parents raise healthy, happy, well-behaved children while also improving their own fitness. Facebook fans 496. Twitter followers 314. Baltimore, MD & Cleveland, OH About Blog At The Nurturing Root, they have a passion for helping parents and families from pregnancy through the postpartum period. This blog is about holistic pregnancy, birth, and parenting by Alayna Spratley. Facebook fans 2,850. Twitter followers 300. South East, England About Blog I am a 20 something living in the South of England with my partner (OH) and his son. I work full time and spend the rest of my time attempting to be a 50s housewife / not to be a wicked stepmother to my 4 year old stepson, affectionately referred to as Monster. Facebook fans 180. Twitter followers 123. About Blog MomBible is here to help guide parents through all stages of their childs life - pregnancy, baby, toddler, kid, teen. This blog contains all topics concerning learning, education, diet, behavior, discipline and health to help guide parents through this often challenging period of their child's life. Australia About Blog Our Children Australia is a company aimed at removing children from the communication issues faced by parents throughout separation. Our aim is to ensure that the children are not privy to any conflict between the parents to enable them to have happy and healthy relationships with both parents. Facebook fans 759. Twitter followers 367. Nashville, TN About Blog Coparenting International is an organization committed to bringing HOPE to divorced and remarried parents, to educators and gatekeepers, as well as to counselors, coaches and churches. Facebook fans 1,117. Twitter followers 694. Dublin About Blog This is a blog about motherhood and feminism and parenting. Writing about motherhood and parenting, mostly, from a feminist perspective. Facebook fans 241. Twitter followers 2,550. Dubai About Blog One Geek of a Parent is a blog by Priyanka who expresses her thoughts, experiences and learnings as an expat mum through her love of writing. Facebook fans 2,123. Twitter followers n/a. About Blog A blog dedicated to LDS parents and all parents who want to learn and connect with other parents. Oregon, USA About Blog Welcome to Doorposts! We are delighted and privileged to join you as you serve God by raising up godly children who love and obey His Word. Our goal is to provide you with Bible-based tools that make your job easier. Our mission is to supply Christian parents with Bible-based, parent-designed, family-tested products to help you apply Scripture in the home. Facebook fans 17,451. Twitter followers 766. Essex, UK About Blog - is a well known parenting expert and a highly regarded popular parenting author who specialises in the psychology and science of parenting, 'gentle parenting' and attachment theory. Sarah is famed for her gentle, science rich, yet easy to read books and her down-to-earth manner and ability to translate her vast knowledge of parenting science. Facebook fans 32,700. Twitter followers 11,911. New York About Blog Parenthood is an awesome responsibility, for sure, but also an infinite source of joy, purpose and humor as well! Chip & Melani chronicle their family's journey into the unknown with funny & insightful stories, tips and observations all in an effort to become better parents themselves and to help inspire all parents to be the best they can possibly be! Join them on their parenthood adventures! Facebook fans 31. Twitter followers 480. About Blog Mom of two, RECE, Parenting Mentor and Child Development Specialist. I offer support and inspiration to parents through my blog, FB group & private mentoring. Facebook fans 1,352. Twitter followers n/a. About Blog Pushing Fifty and a Stroller is a blog which showcases true stories from an old new mom. To know more on this, subscribe with us. Facebook fans 435. Twitter followers n/a. About Blog This blog is an honest mums story. She shares teary stories, trials but all this with plenty of smiles. For more updates on this, follow us. About - ADDitude is the trusted resource for families and adults living with ADHD and related conditions and the professionals who work with them. Adoptive Families - The resource and community for adoption parenting. About - Adoptive Families, the award-winning national adoption magazine, is the leading adoption information source for families before, during, and after adoption. About - I designed the Parenting Aspergers Blog to help parents everywhere who have children with Asperger’s. I offer ideas, tips, humor and a little inspirations where I can to help you along the road. About - API promotes parenting practices that create strong, healthy emotional bonds between children and their parents. For life. So they can take those bonds with them into their adult lives and share them with their children. About - Autism Parenting Magazine is the leading magazine for parents of autistic children as well as professionals seeking to work with children on the spectrum. About - BabyCentre is the most complete online resource for new and expectant parents featuring resources such as unique baby names, newborn baby care and baby development stages. About - Our mission is to build God-honouring homes by inspiring moms to be better moms through sharing life and learning together. About - Bilingualparenting.com was set up in 2009 by two UK-based parents, David and Lidia, hoping to raise their new baby bilingual to chart their progress and to share knowledge and information with other parents. About - We offer parenting tips, recipes, blog about cultural and current events, as well as highlight Black businesses and mommies who are making a splash in the businessworld. About - Sharing tips and ideas to make parenting a little less insane - from one mad house to another. We hope to fill your with inspiration to live your life with your family. About - The Easiest and Hardest Part of Mindful Parenting. by Sarah Rudell Beach. Mindful parenting is just as easy and, sometimes, just as hard as it sounds. About - CatholicMom.com offers articles, activities, printables, and more for your family, classroom or organization to help you grow in your Catholic faith. About - Inspiration for Intentional Christian Parenting. About - Coparenting International is an organization committed to bringing HOPE to divorced and remarried parents, to educators and gatekeepers, as well as to counselors, coaches and churches. About - My goal is to share my personal experiences, the good, the bad, the pretty and the ugly; and to provide you with useful, direct and practical advice to help you become the parent you always wanted to be. About - Our blog gives tips on everything you need to know to serve fathers. Our mission is to transform organizations and communities by equipping them to intentionally and proactively engage fathers in their children's lives. About - The posts on this site are an opportunity for me to share bits and pieces of my parenting struggles and successes, along with practical, applicable tips to help you work through similar issues with your own kids! About - This is a blog about motherhood and feminism and parenting. It’s about me, being a mother and being a feminist. About - Lorimer has been at the heart of fostering for a number of years, helping and supporting hundreds of young people. Find out the latest new, event and information about Lorimer Fostering. About - Through ‘Hurrah For Gin’ I try to give a real and humorous account of parenting young children – the happy, the sad, the good and the bad. I hope you enjoy reading. About - Welcome to GayParentsToBe's Gay Parenting Blog. Read on about LGBT trending news, family building stories, legal advice and more from our LGBT voices team! About - So here it is – my thoughts, my experiences and my learnings as an expat mum expressed through my love of writing. Yes, I am a geek except not so much in a ‘nerdy’ kind of way. About - I write about peaceful parenting and gentle discipline. About - Natural parenting magazine published every two months packed with great ideas and inspiration for every step of the parenting journey. About - I share family fun ideas, parenting stories, and delicious Latin-inspired recipes! About - This blog is a hub for deliberate Islamic parenting. It is an archive of my opinions on this topic, as well as a place to share resources about how we can intentionally raise the next generation in light of the Qur’an, and Sunnah of the holy Prophet. About - Kveller is here to give you ideas you can run with–ideas for first-time parents, interfaith parents, queer parents, adoptive parents, and everything in between–with the hopes that you can find information and inspiration that is right for your family. About - Mombian is a lifestyle site for lesbian moms and other LGBT parents, offering a mix of parenting, politics, diversions, and resources for all our varied roles. About - Psych Central is the Internet's leading independent mental health publisher. In addition to the information and education we provide, we also have over 250 support groups and thousands of indexed resources. About - My name is Emma Johnson and my goal is to help you build a full, awesome life as a single mom. I started WealthySingleMommy.com when I realized a huge need for community, information and inspiration for women like me: Professional single mothers. About - A blog dedicated to LDS parents and all parents who want to learn and connect with other parents. About - I love writing about things that make our lives easy. Here you will find some parenting tips, fun experiences, product reviews, DIY stuff and everything baby and mommy. About - This blog is mostly about my journey through motherhood and life. About - This blog provides information on pregnancy, newborn baby care, toddler advice for parents. About - This blog, Organic Parenthood, is like an instructional book for the kind of life I enjoy living. I cover a wide enough variety of topics that I believe people from all walks of life can find something to interest them. About - The leader in online training for parents of toddlers to teens. Stop wishing away misbehaviors and learn tools to create a happier home. About - At Beanstalk it's all about being a single mother. Join the light-hearted conversation which includes advice, experiences and single mums assistance. About - This space is where I explore mothering through writing. It’s where I celebrate how God shows up in the chaos of raising children. And it’s where I love to build community with readers like you! About - This online home is the place to be for insightful articles, like the stepmom’s guide to Mother’s Day, how to help a grieving stepchild, and prettily-packaged tips. About - Your Teen for Parents is the leading resource for helping parents raise teenagers from middle school to high school and beyond. Get advice from experts, read articles by top parenting writers, and connect with other parents like you. About - The Educational Tourist explores the world through family adventures; making memories with children. Travel guide books and travel activity kids FOR children to engage and occupy a busy mind while allowing grownup travelers some peace and quiet. About - Twinmom.com is an online community for Moms, and more specifically Moms of Multiples. We offer resources for everything Twins! About - Working Mother is a national magazine committed to helping moms balance their personal and professional lives. Working Mother is the largest multimedia company in the country focused on diversity and the advancement of women. About - Chronicles of a Young Mother's mission is to ensure no young mom feels ostracised from the mom community because of her age. We want to empower other young moms, so that as a community we can redefine what it means to be a young mother. About - From what to cook for dinner, to how to tackle an unsettled newborn, to the day’s latest news written just for them, Australia’s parents know that Kidspot is the right place to go for news, inspiration and guidance. About - Parenting Ideas offer positive parenting tips on child development for raising children and teenagers to be happy & resilient and building strong families. About - Welcome! We are an Australian family of 6 enjoying an unschooling lifestyle. Join us here for unschooling and conscious parenting inspiration. About - Our aim is to provide a compelling and informative community for Australian parents. Practical Parenting is the destination of choice for parents of kids 0 - school age and parents-to-be. About - SensoBaby is Gaborone's community for everything to do with babies, toddlers and parenting. About - Pregnancy, baby, toddler advice for Canadian parents. About - I'm a full time dad with a full time job who likes to share his stories with everyone. I hope you'll come along for the ride while I learn the ups and downs of being a father. About - HaltonParents blog is a place where you can find reliable information and support to help you along your parenting journey. About - The best online resource and blog for expectant and new parents. Featuring advice, information, and tips to keep your pregnancy fun. About - Welcome to Parents.cf! We’re here to help moms and dads raise happy, healthy kids – and have some A LOT of fun along the way. About - The Family Network. Your guide to parenting in Cyprus. About - My passions are reflected in this space where I like to write about the beautiful island of Cyprus -where I live-motherhood, style, beauty, food, travel and relationships. About - WHAT THE HAPPIEST PEOPLE IN THE WORLD KNOW ABOUT RAISING CONFIDENT, CAPABLE KIDS. About - Read the latest style & parenting advice, maternity clothing trends, plus checklists for every trimester. About - Bumps n Baby is India's leading parenting blog featuring pregnancy, child care, mom care, baby food recipes and many more parenting tips. About - My Little Moppet is a parenting page designed to help new parents cope with parenthood and provide information on health, nutrition, social development of children. About - TCT is about motherhood, parenting, baby and child care. You can tickle your funny bone with some parenting humor or read emotional pieces which most of us (at some point) would relate to. About - It’s all about Parenting, Kids, Womanhood and Lifestyle! We answer all challenges for a knotty ride on "Parenting"&"Motherhood". You'll get to read personal & motivational stories of being a "Woman". About - Hi, I'm Kellie, an over-sharing Irish mammy of four (three under three) who writes honest tales and parenting fails as a stay at home working parent. About- Social commentary on parenting, education, Judaism, modesty, frugality, alilyah, holidays and Israel with an active commenting community. About- A site dedicated to all mothers, with advice during pregnancy, childbirth, growth and education of children, and ... many DIY games!. About- All things parenting related from Jamaica but for the world. About- I am a mother blogging about my mundane parenting life with my two cheesiepetit and occasionally about how you have been buying the wrong cling wrap your whole life. About- AfroMum is a leading African parenting publication focusing on African women in their careers, lifestyle and raising families. About- Everything moms in Kuwait need to know. About - Your Ultimate Guide To Parenting. About - Mumsgather Finds, a one-stop website for parents to find courses, programs and other services for their children. About - Here you can daily wonder about the personal and inspiring stories and experiences that have to do with motherhood. About - New Zealand's trusted parenting site for over 10 years. Expert advice on pregnancy, babies and toddlers to teens. From party ideas to behavioural issues, we have it all covered. About - To provide practical advice and strategies that work to parents of children of all ages. About - Stay connected and up-to-date with the latest articles and stories for Nigerian Parents. About - LagosMums is a family life and parenting resource for mums, dads, caregivers and anyone who cares about raising children and the family. About - My blog covers parenting, multiculturalism, recipes, lifestyle, travel and resources to pass on cultural values to children in engaging ways. About - SmartParenting.com.ph is a comprehensive yet easy-to-read source of information on the major aspects of raising a child: health, nutrition, child development, values formation, and education. About - Baby and Breakfast is a motherhood and parenthood inspirations blog committed to style, creativity, and uniqueness. We’ve focused on topics and content that resonate with parents, such as family life, marriage, and raising children. About - The modern Filipino parent's website for raising happy, confident kids from a cultural and global perspective. About - Parent Tribe was born as an idea I had after trying to think how I could combine both my design & techy skills with my passions for natural parenting, family travel and creativity. About - Personal blog discussing motherhood, faith and dentistry. About - An expat mom in Jeddah sharing her passion for crafts, positive parenting, home management and kid friendly food. Discovering Jeddah and exploring Saudi Arabia with kids. About - Mother,Inc is an Award Winning Singapore Parenting Blog. About - A Singapore Parenting & Lifestyle Blog dedicated to sharing inspirations and contents related to positive parenting, work-life balance, travel tips and reviews. About - Singapore Family Lifestyle Journal Covering events and issues relating to family in Singapore. About - A Happy Mum is a place for parents and aspiring mums to seek delight, to get inspiration, to find happiness and hope in this journey called parenthood. About - Mommalicious is an online parenting blog and forum for moms made by moms. About - By Megan Kelly aims to be a convenient one-stop platform to catch up parenting tips for moms. Our content is developed to help new and expecting parents navigate their role with confidence, by offering resource guides, articles, reviews and much more. About - My journey on everything mom and family related, brands we adore, places we've visited, foods we love and some awesome giveaways! About - Award winning UK parenting and lifestyle blog inspired by modern family living. About - Sharing tips and ideas to make parenting a little less insane - from one mad house to another. We craft, play, enjoy art, construct, cook and laugh our way through life. About - Award winning parenting blog. Not only charting the highs of being a Mum but also talking about the lows. From tantrums, to starting school. From rows with your other half, to the never ending guilt. All covered with humour. About - Toby & Roo is a parenting and lifestyle blog, aimed at sharing the woes and wins of parenting. About - Aha! Parenting Blog is about practical solutions for real parenting problems. About -Parenting is definitely the hardest, most rewarding job I’ve ever had and has led to even more joy helping other parents. I hope my adventures as a parent and teacher and whatever wisdom I’ve gained along the way will help you, too. About - The parenting blog for parents who love their kids but hate parenting. Laugh at my mistakes, judge the judges, and learn why being a parent is the best thing that's ever happened to you that you'll occasionally wish had never happened to you. About - Their mission is to provide parents with insights, skills, and support they need to listen to and connect with their children in a way that allows each child to thrive. CONGRATULATIONS to every blogger that has made this Top Parenting Blogs list! 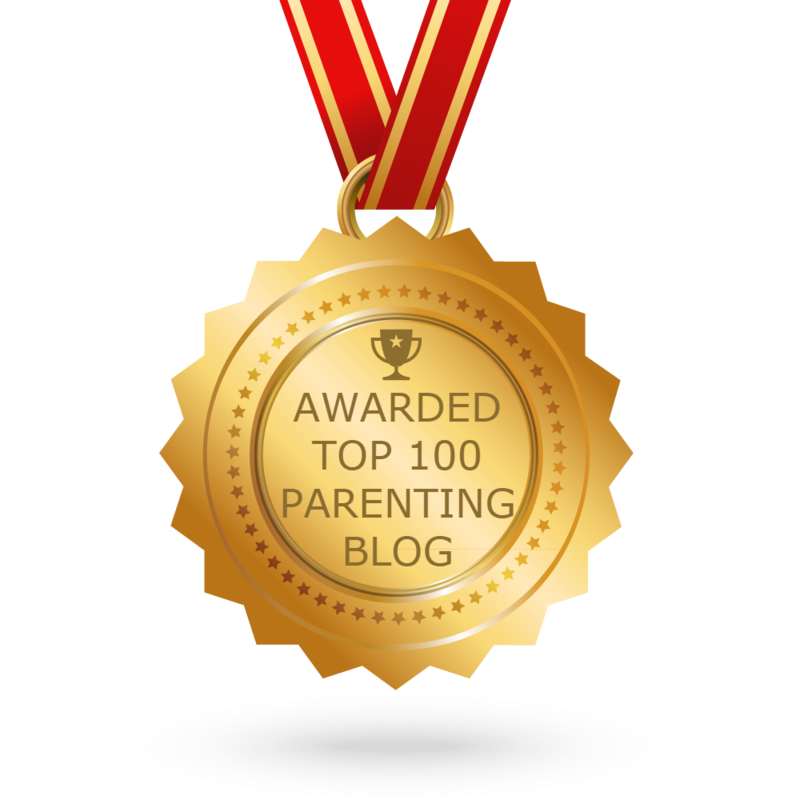 This is the most comprehensive list of best Parenting blogs on the internet and I’m honoured to have you as part of this! I personally give you a high-five and want to thank you for your contribution to this world.